Containing both Parts I and II, this print edition is quite the handful. At fifteen, Aiden could set things on fire with his bare hands. When Master Vodin appears in Aiden's Philadelphia apartment and promises to teach him the ancient D'Tari ways, Aiden begins to see his true potential. But not everyone is happy that he's joining the D'Tari ranks. To make matters worse, when Aiden acquires an ancient artifact, he finds himself pursued by violent men in white who will stop at nothing until they have it. Having been exiled from the D'Tari Guild, Aiden is called back to protect Megan, a young ambassador to the secretive Shadow Congress. As Aiden's past seems to be catching up with him, he finds himself trying to prove a senator's connection to a dark plot which could threaten the stability of the Agnec world. Available at Amazon.com, CreateSpace.com, B&N, and wherever books are sold online! The collected works of an eclectic group from various points along the west coast, Tea, Toddlers, Doors, and Dinosaurs: A Short Story Anthology is just as varied as the title would suggest. Take a plunge into worlds both familiar and strange, with stories ranging from science fiction to every day life, mind-bending speculative tales to alternative history, where you'll find your imagination stirred, and just maybe, your heart as well. Featuring the works of JA Laflin, Ryan Spencer, Joel Lux, and Eric Polley. The original short story prequel has now been revised and re-released by Agnec Press. Want to read this on a specific device? 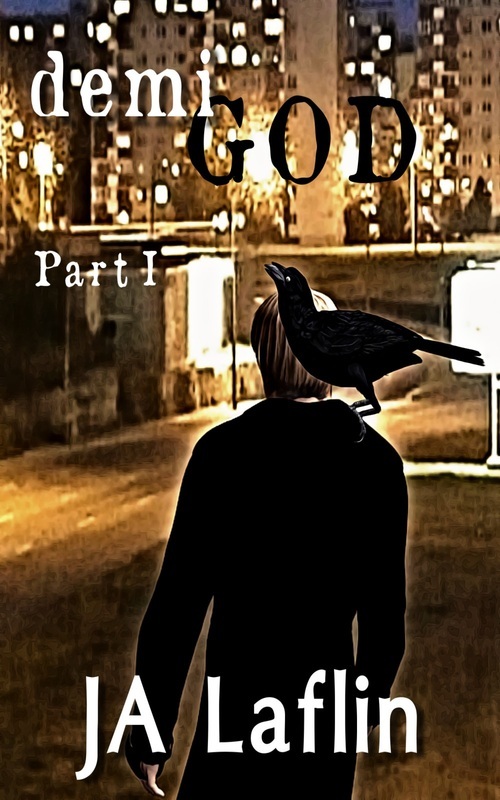 See the Universal Book Link at: https://books2read.com/demiGodPart1. Aiden, skilled in the magical D'Tari arts yet always the reluctant hero, sets off on a mission to bring down a beautiful but powerful traitor. 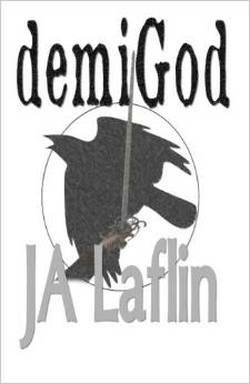 What Aiden discovers, with the help of the Raven Lord D'Natis, is more than he bargained for. From the streets of Philadelphia, to an encounter high in the sky, this is a riveting fantasy tale set in the present day. This short story is the prequel to JA Laflin's upcoming work 'demiGod', and includes two bonus chapters from the full-length novel. An elaborate scheme is carried out by the protagonist in this story, but he claims to have nothing to do with it. Could it really be directed by the seemingly all-knowing voice inside his head? Short story. Enter a world where Trees talk and Elves battle Dragons, a world where men fight dark demons and the planet sits in a state of post-apocalyptic decay... Enter the strange world within JA Laflin's The Oak, The Dragon, and Other, Off-Kilter Tales, a collection of short stories where the norm is turned upside down and our fears, hopes, and dreams are realized... Among other things. With everything from twisted fairy tales to dark, redemptive horror, this collection is sure to be enjoyed by anyone desiring a good read. In this collection of short stories, we are introduced to twisted fairy tale characters, telepathic children, a myriad of car-wrecks, monstrous pets, cowboys, demons, and the ultimate battle between Elves and Dragons... From the every-day life to horror and fantasy, this collection has a little bit of everything. What would the world look like through the eyes of visitors? In this free-form poem, men from another world arrive to observe and ultimately cast judgement upon the present state of the Planet Earth.